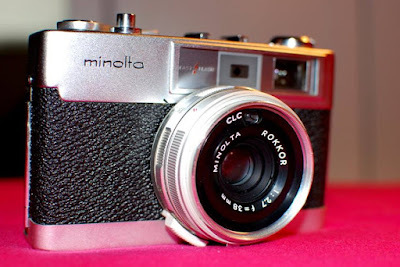 I'm not a big fan from Minolta, but in the 1960s they built very nice cameras. 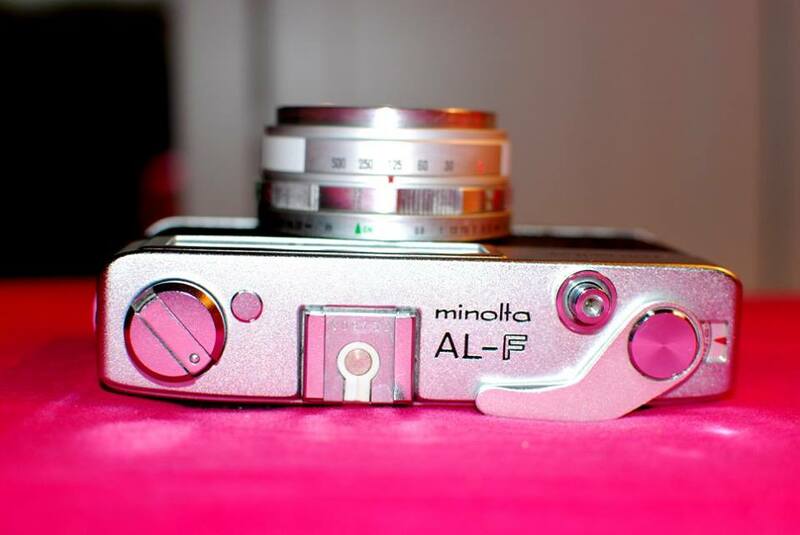 In May my girlfriend and I found in the Oxfam store in Cologne a wonderful Minolta AL-F with the ready case and the manual for 25 Euro. Okay, the price was a little bit high, but sometimes it's okay to pay a little bit more. In October we found in the same store two Soligor zooms with Minolta SR (MD) mount, the Soligor S/M 3.9-4.8/28-70 mm Macro MC and the Soligor C/D 4.5-5.6/70-210mm Macro MC. I bought both lenses because of the 70-210 zoom, which I wanted to use for macro photography. But for the 28-70 zoom I had no use. 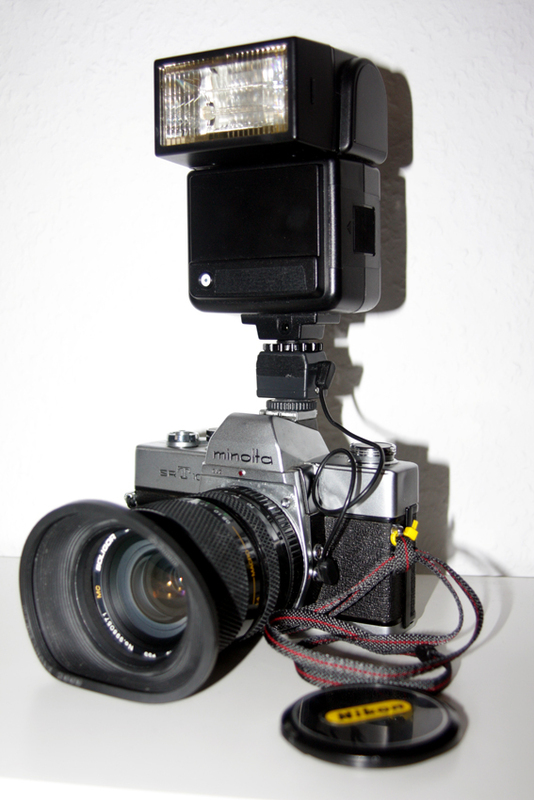 Some days later I searched at Ebay for a Minolta SLR for little money. First I found a lot of XG-1 and XG-2, but I didn't want an electronic one. 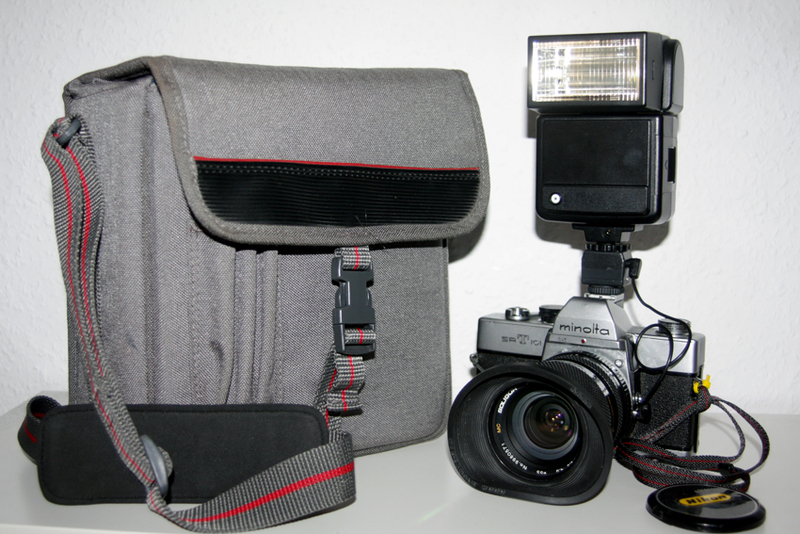 Then I found some good old SRT 101, a typical big solid mechanical metal SLR out of the 1960s. Although the seller wrote that the shutter and film transport are working, he offered it as defect because of the age of the camera. I like a lot the design of this era without the schnickschnack of the cameras of 1980s till today. They only need a battery for the TTL light meter, but of course they work without it, too. I have some Prakticas out of this time and they're working until today. I decided to buy this Minolta SRT 101, because she made a good impression on me and of course the reputation of the SRT 101 is very good. Okay, it was a risk to buy this camera, but sometimes it's okay to take a calculated risk. Pictures taken with these cameras will coming soon!